Vedic Astrology refers to Indian or Hindu astrology, a system that originated in ancient India and which was documented by sages in the Vedic scriptures. Also known as "Jyotish"—the science of light—Vedic astrology deals with astral light patterns that are thought to determine our destiny. Astrology is the science of the effects of planetary movements on our lives. Astrology is based on astronomy, and astrologers need to know the correct positions of the planets among the fixed stars at any given time, as well as the correct positions of the zodiacal fixed star signs in relation to any place on earth at any given time. Once the correct positions of the signs and planets are known, astrologers can construct charts representing these positions. Using her knowledge, the astrologer can study the charts and can make a wide range of conclusions about the moment the chart was cast for. Primarily, astrology is used to understand one's self and our karma for this life. The basic premise of this astrology is that all things are linked. Your karma or fortune is determined by a predestined cosmic design. You are a soul incarnating in a body at a very specific time and place, and your life is a reflection of the greater whole into which you are born, just as flowers bloom at certain times, when all conditions are perfectly congenial. So is the case with our births on this planet, according to the theory of karma. In Jyotish, the main item is your chart. It's a map of the planets in the signs of the zodiac. Charts are cast based on an exact moment at an exact place on earth. Therefore, the moment you were born and the place you were born has a chart, which is known as your "birth chart" or "natal chart". By reading the chart of the heavens for the time and place of your birth, astrologers claim they can know much about you. The positions of the planets in the real star-based zodiac are taken and your "dashas" (predictive timeline) are arranged. Your Vedic chart will most likely reflect your real life, and your dashas are probably operating the way they should. The Vedic astrologer looks at these planets, signs and house placements in your chart and can "see" your personality, as well as life events and possibilities—both the good and the bad times in your life. The dashas are then used to determine "when" the events will unfold in the life. Dashas give a greater predictive accuracy to Vedic astrology than is possible with Western astrology. These "planetary ruling periods," which are unique to this system, give Vedic astrologers a tool for quite accurately predicting the trends, changes, and events in your life with amazing precision. Therefore, Vedic astrologers are less limited to talking about your general overall self and can get more deeply into what's going to happen in your life. How Is It Different From Western Astrology? Vedic astrology differs from Western or Tropical astrology mainly in that it uses the fixed zodiac as opposed to the moving zodiac. Because of the gradual tilting of the earth in space on its axis, the zodiac, if you calculate it from the sun's relationship to the earth, appears to be moving at the rate of a little less than 1/60 of a degree per year. Currently, the relative or movable zodiac is off (out of alignment with) from the fixed or real star-based zodiac by roughly 23 degrees, which is almost one whole sign of the zodiac. Because the two systems are skewed from each other by nearly one whole sign, most people's "Sun Sign"—that which you can get from the newspaper each day, is usually one sign back when the chart is refigured using Vedic astrology. So, the first surprise of using the Vedic system is that you no longer belong to the Sun Sign you always thought you were. 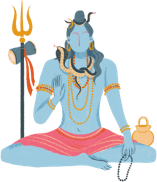 However, if you were born in the last five days or so of the Western sign month, then you will probably still be the same sign in the Vedic system. Many practitioners vigorously believe that Vedic astrology, with its ties to the ancient wisdom of ancient Vedic literature, is a great source of profound knowledge, and indeed offers a practical means of understanding and predicting the events of life.